The website has such a "fun" look to it - you can't help but want to click around. (I've linked to an Eric Curts post with additional details about each piece of the site ... so be sure to check that out!) There are 13 different experiments to check out. What a fun way to incorporate music into any class, or allow students to express themselves with music! One thing I see that you might find "lacking" is there a way to save or share a creation. A quick & easy way to preserve and share a creation would be to screencast it. Some might lend themselves to a screenshot, too. 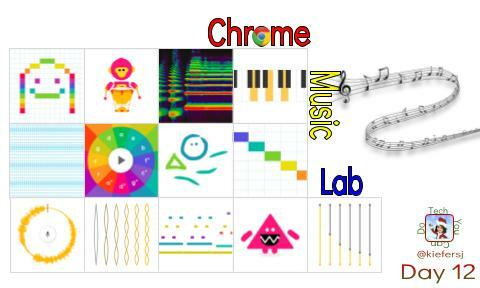 Eric Curts blog with additional details: "Learning Music, Art, Science, Math and more with Chrome Music Lab"